Question: Romanesque art prevailed in what century? 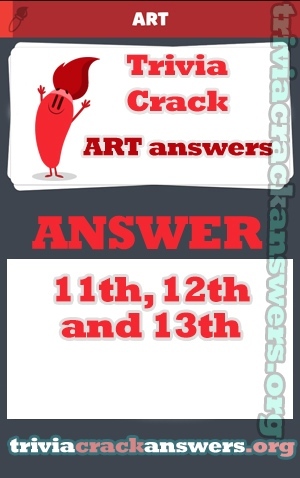 Answer: 11th, 12th and 13th. Who wrote ‘Farenheit 451′, ‘The Martian Chronicles’ and ‘ The Illustrated Man’? Wonach wurde der Fußballverein “Hertha BSC” benannt? Sarah Michelle Gellar did not star in which of the following films? Who is detective Sherlock Holmes’ partner?